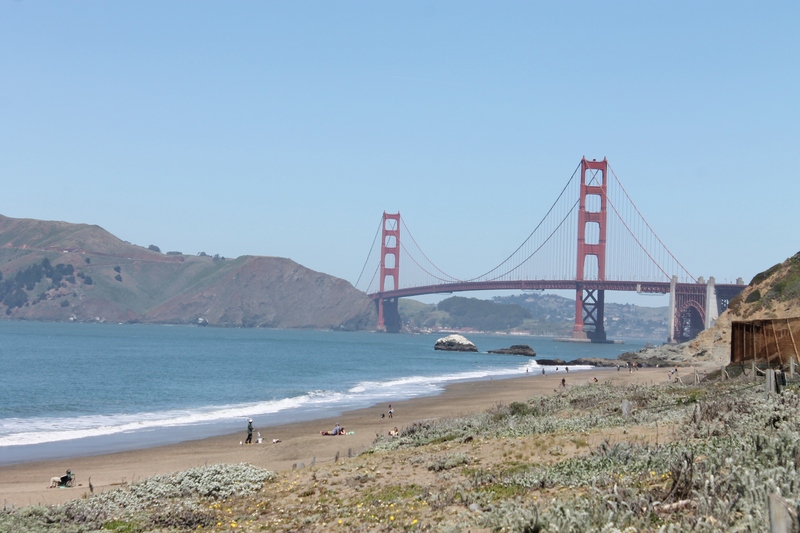 Gorgeous view of the Golden Gate Bridge from Baker Beach! 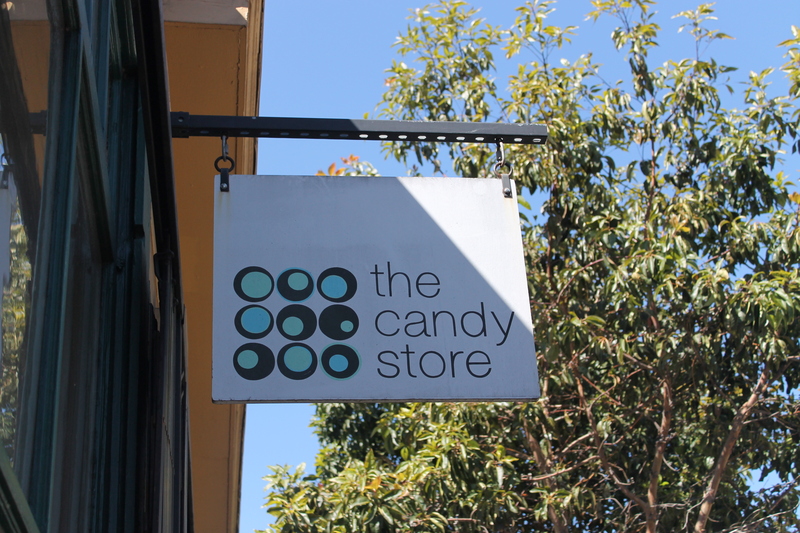 We recently returned from an absolutely wonderful trip to San Francisco and the surrounding region. The weather was perfect the entire time: cloudless skies and mid 70s each day! We packed in as many things as possible during the trip, since we likely won’t be headed back to the west coast for a while. 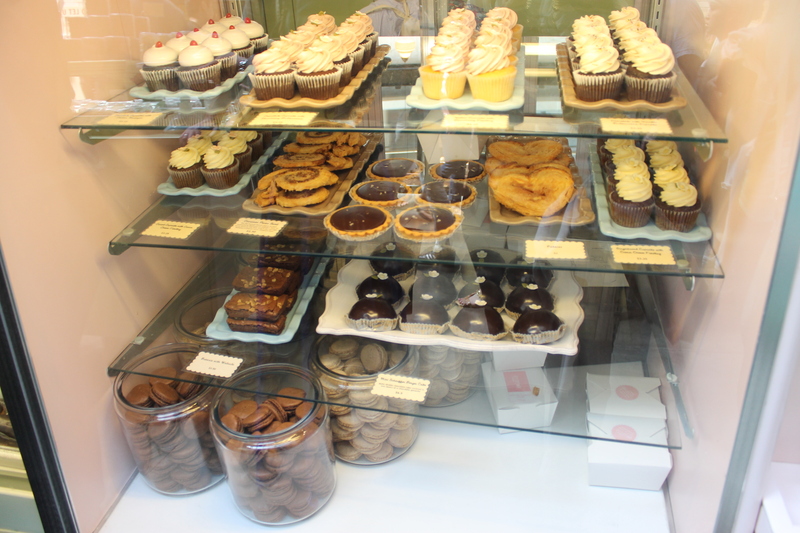 One of our priorities was to get to enjoy some of San Francisco’s great food. Our aunt used to be a chef, and she knows about some of the good restaurants in the area, so she made sure we stopped at the best! Since this is a food blog, we are focusing on the food aspect of the trip here, but we visited many other places too. 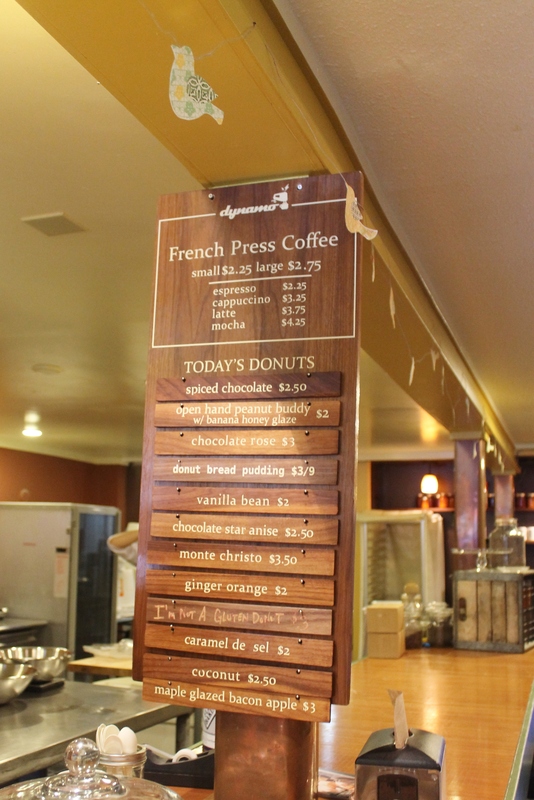 Our plane arrived in San Francisco mid morning, so we went out for bagels and coffee. We stopped at a store called The Bagelry, a fun place that is family-owned. We ended our trip here as well. Between us and our dad during both trips, we tried the poppy seed, cheddar, everything, onion, and plain. We loved all of them! While we stuck to regular cream cheese, they sell a large variety of more inventive flavors. For coffee, we went to Peet’s Coffee, which is a west coast specialty. They have locations all over California. We tried the iced coffee, a chocolate caramel swirl freddo (which was soo good! ), jasmine and lime tea, and pomegranate berry tea throughout the trip. 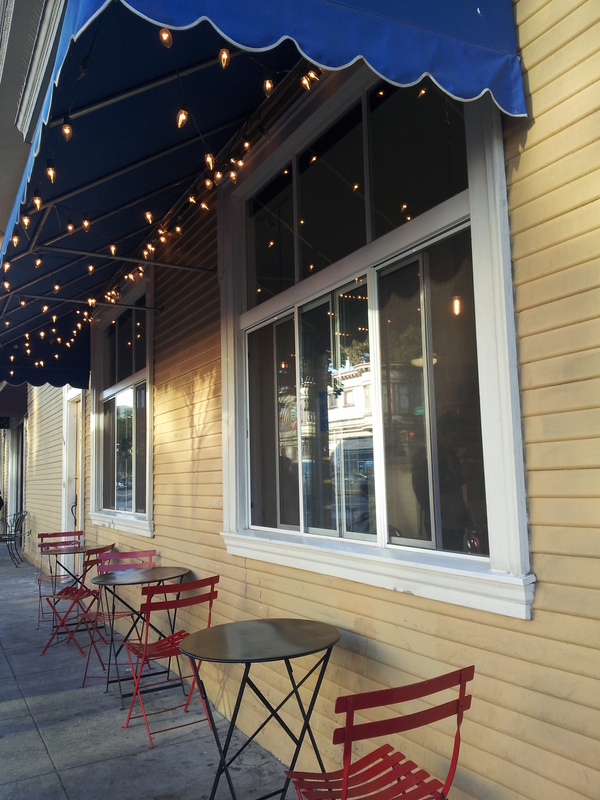 Peet’s, in our opinion, beats out Starbucks! Since we were in walking distance from the apartment we rented to Golden Gate Park, we spent the afternoon walking around there and enjoying all the pretty sights. We went to the Japanese Tea Garden, which was tranquil and beautiful. We highly recommend it! 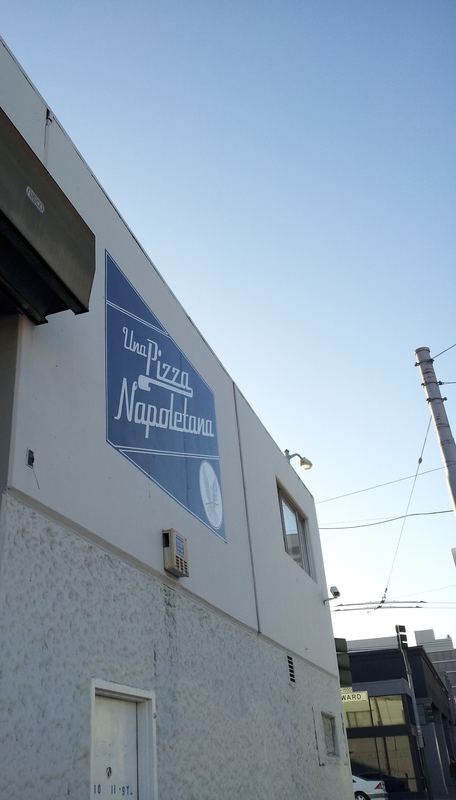 For dinner that night, we went to Una Pizza Napoletana. This is not your average pizza place! The owner makes 100 pies a night, and sells pizzas until he sells out. The pizza is really good! The dough has a unique slightly charred, crisp exterior with a soft and airy interior. 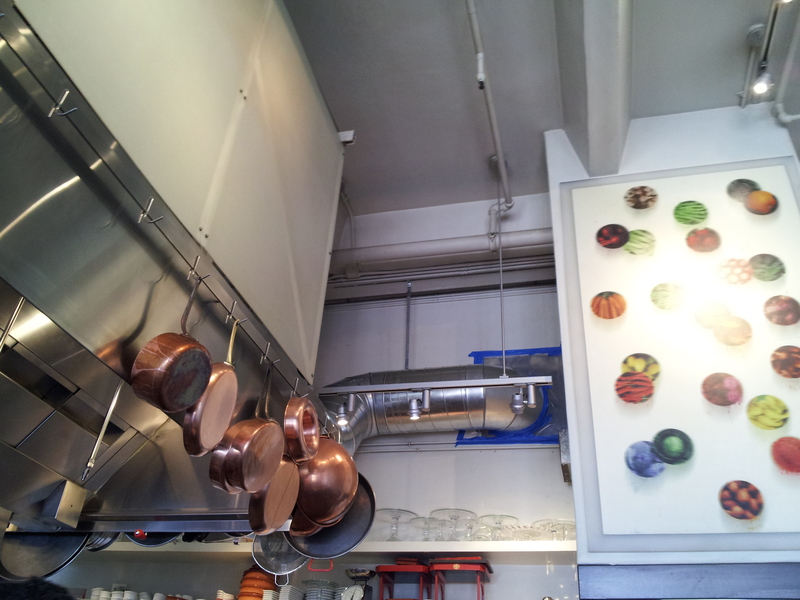 There are six pizza types, but we liked the bianca and ilaria best. 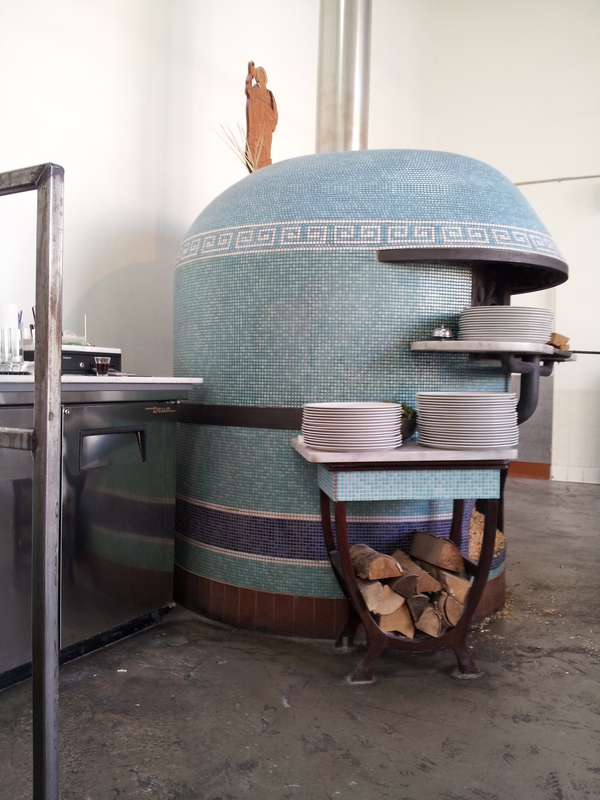 The pizzas are baked in a beautiful tiled brick oven. This is a fun place to stop for a relaxing dinner in a really cool spot. 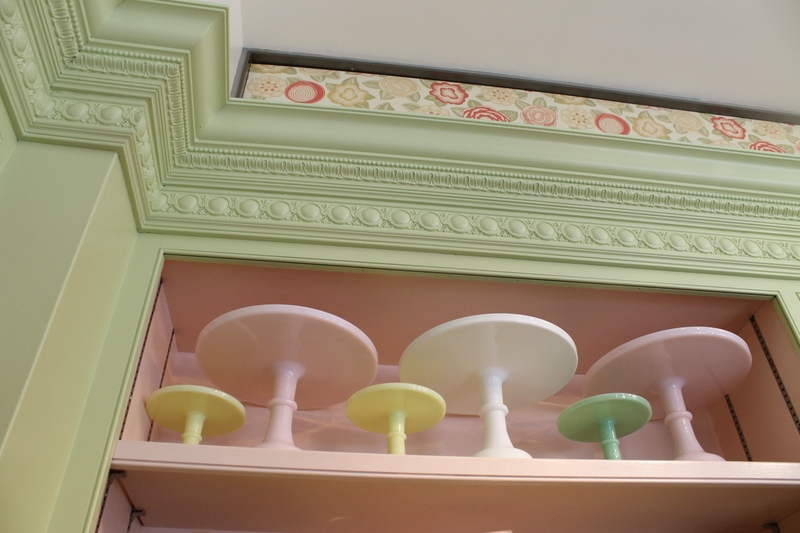 This oven is pretty. Who would’ve thought that adjective would apply to an oven? 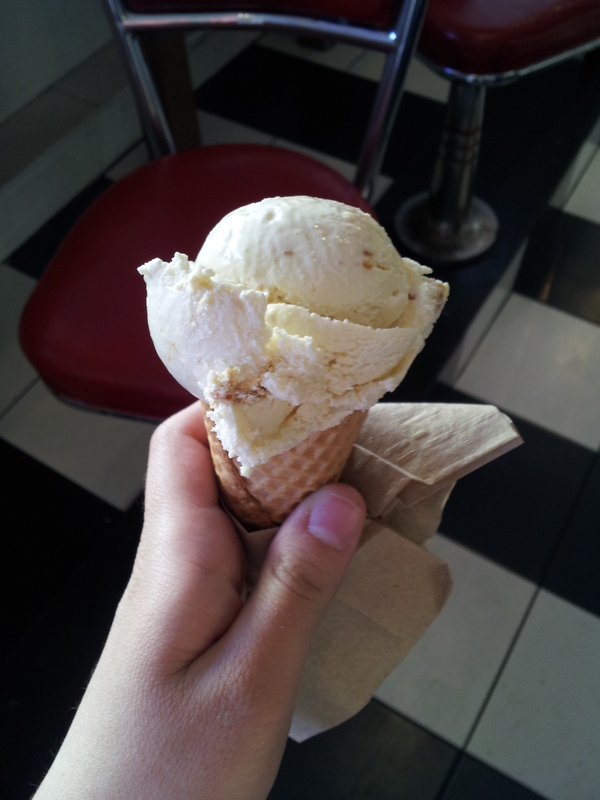 Finally, at the end of the night we went to Humphry Slocombe, a really great ice cream place. Cute little seating area with fun lights! The night we were there, the flavors included root beer, secret breakfast (an alcohol-spiked ice cream with corn flakes and other stuff), pistachio brittle, mint chocolate chip, Vietnamese coffee (which has sweetened condensed milk), and more. Leah had the root beer, and I had tried the pistachio brittle. 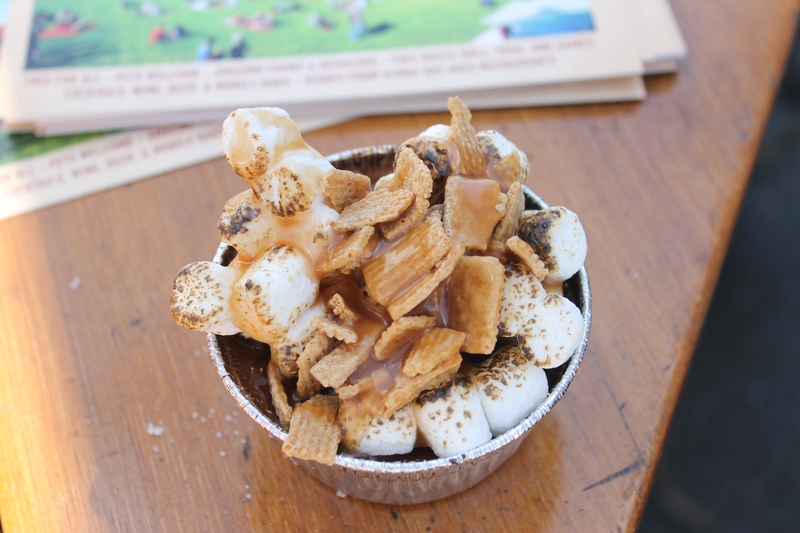 The brittle was crispy, not hard at all, and it was pretty great ice cream. The nice thing about this place is they don’t give you an overwhelmingly huge portion, and the ice cream is refreshing and light with rich flavors. We highly recommend it! Pistachio Brittle ice cream- so good! The next day, we were outside of the city visiting a couple of colleges. We needed a quick place to stop for lunch, and we went to In-N-Out. While I wish I could say that this was great, it was just fast food. Yes, it definitely beats out McDonald’s (gross) and Burger King (ew) by quite a bit, but I prefer Five Guys or Chick-Fil-A. The caramelized onions on top were good, though! That evening, we went out to dinner with our cousin at a vegetarian Indian restaurant called Udupi Palace. I generally dislike Indian food since I don’t love the spices in it, but this was surprisingly good. I had the onion masala dosa, which is a thin sort of crispy crepe fillled with potatoes and onions. Leah had a mixed vegetable uthappam. It’s not a place I would have picked, but we both enjoyed our meals and broadened our culinary horizons! 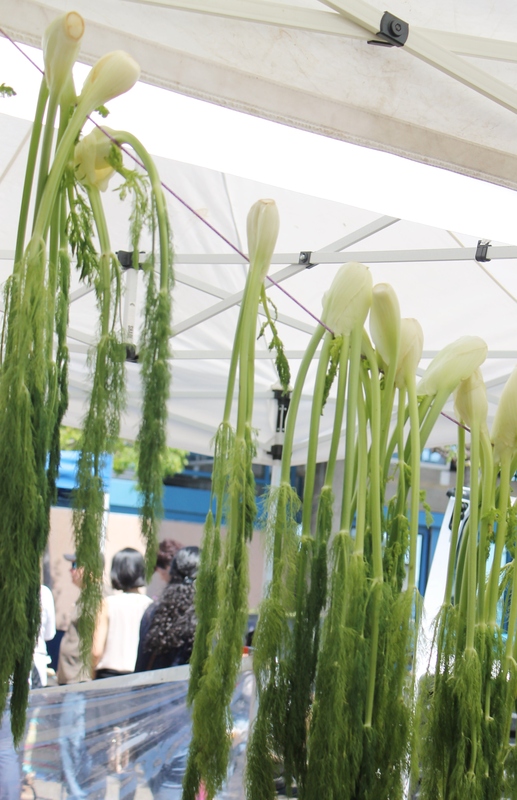 Saturday morning we went to the farmer’s market at the Ferry Building. This was a very fun experience! 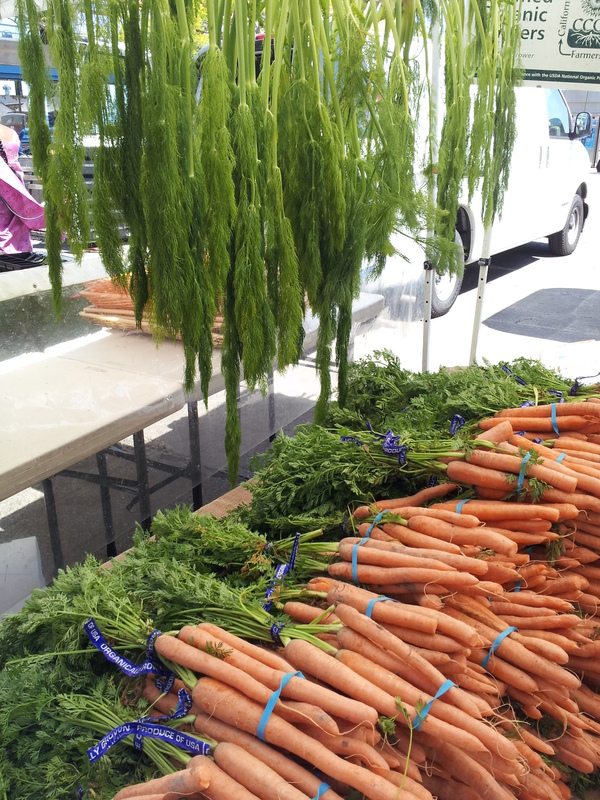 All the farmers from the surrounding regions bring tons of fresh produce. There are also food stands outdoors. We ate at a place called Primavera, which sells really wonderful Mexican food. This was one of the food highlights of the trip for sure. Everything is fresh and homemade. 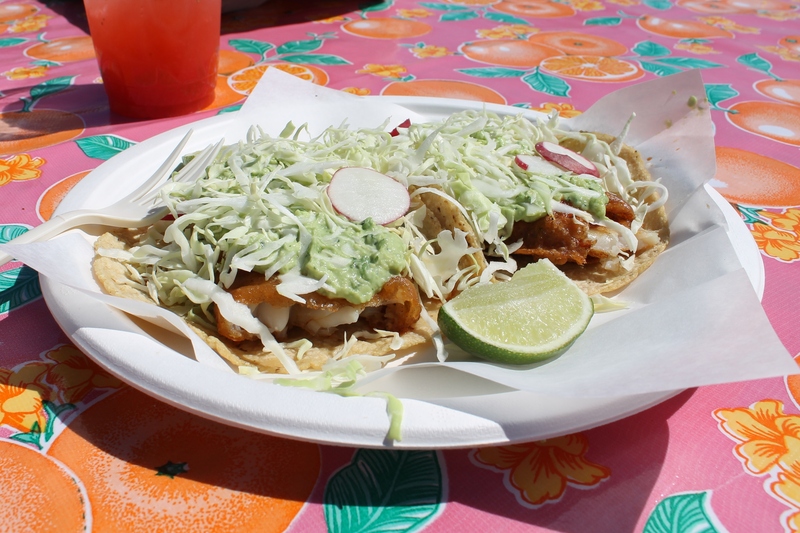 I had beer-battered fish tacos on homemade tortillas with avocado mayonnaise, and Leah had shrimp tostados. They were both delicious! 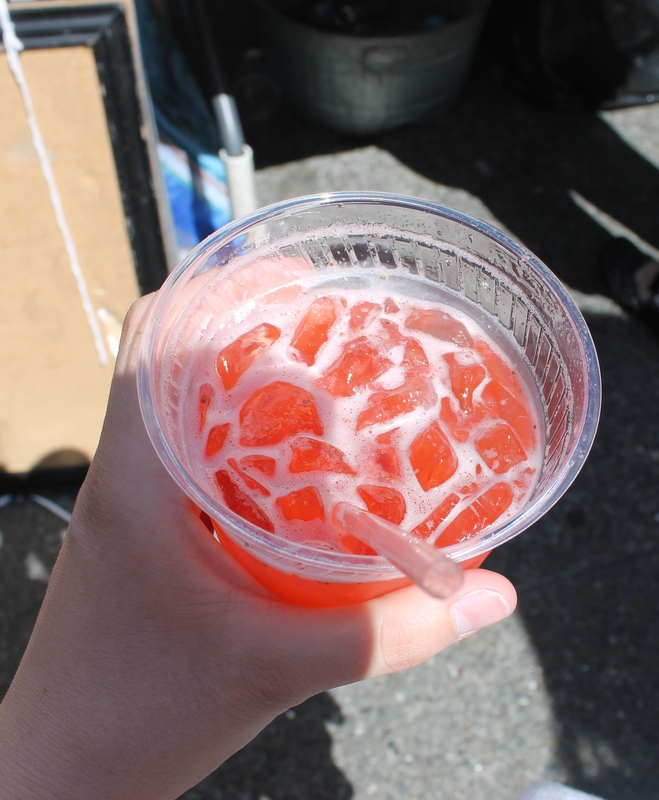 We also had strawberry lime drinks from there, that were somewhere on the spectrum between juice and smoothie. 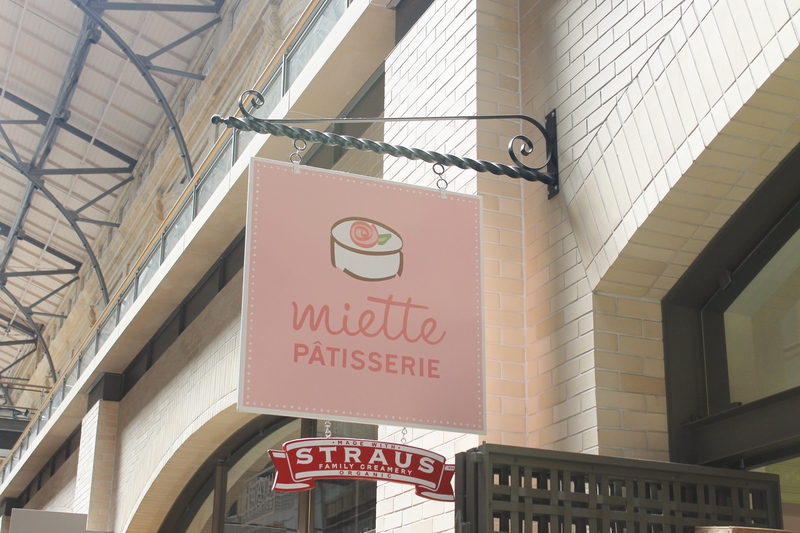 We also made a stop for cupcakes at Miette in the Ferry Building. 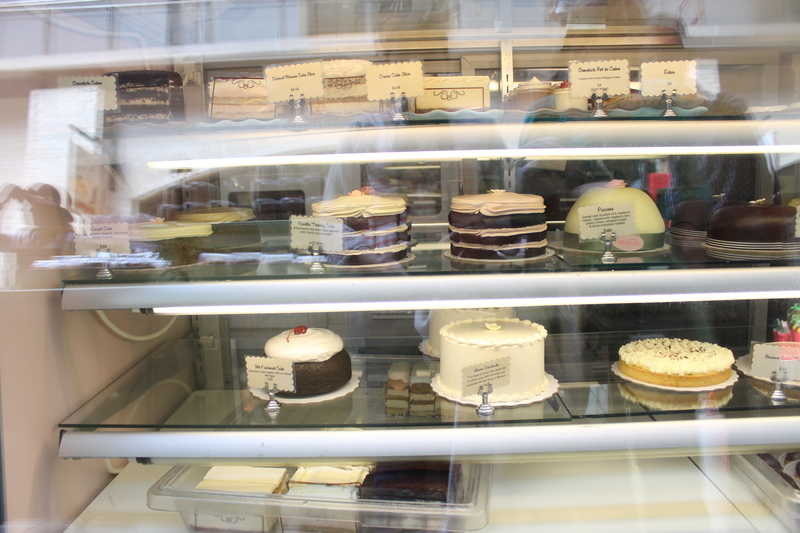 This was an extremely adorable little place with too-pretty-to-eat desserts. The cake stands as decorations were really fun! The desserts were so pretty. They tasted very good too! We spent the afternoon taking a ferry over to Sausalito, which was a lot of fun. 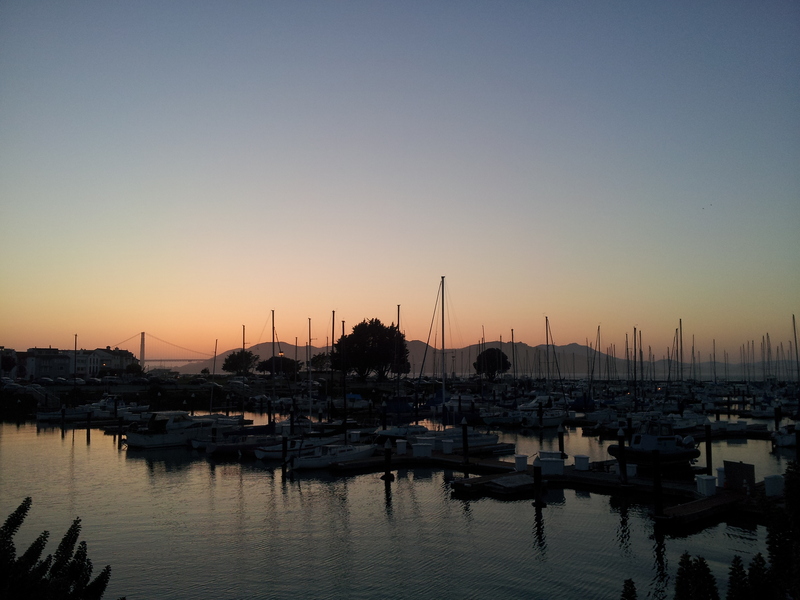 That evening, we went to the Presidio of San Francisco to watch the sunset. The view was breathtakingly beautiful! 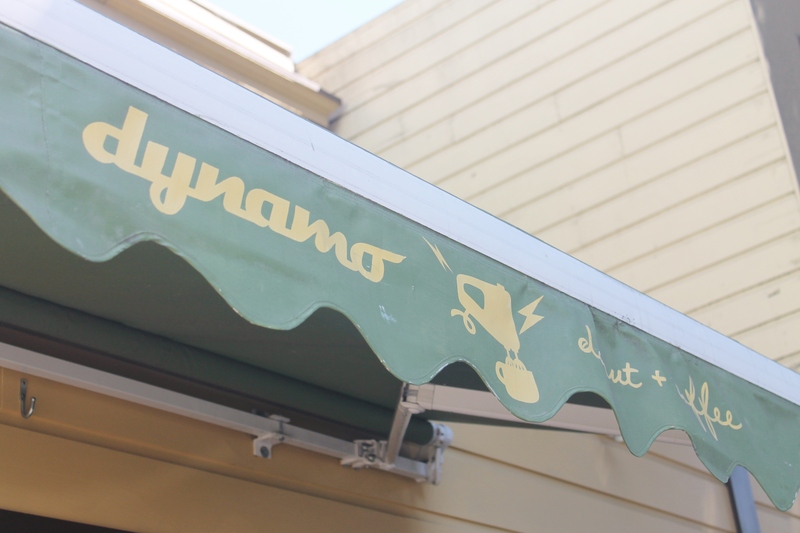 Sunday morning we made a stop at Dynamo Donuts. It was a hike to get there from where we were staying (in the Richmond district, near Golden Gate Park and the Presidio). This place sells creative doughnut flavors. Leah and I split the maple glazed bacon apple doughnut and the vanilla bean doughnut. 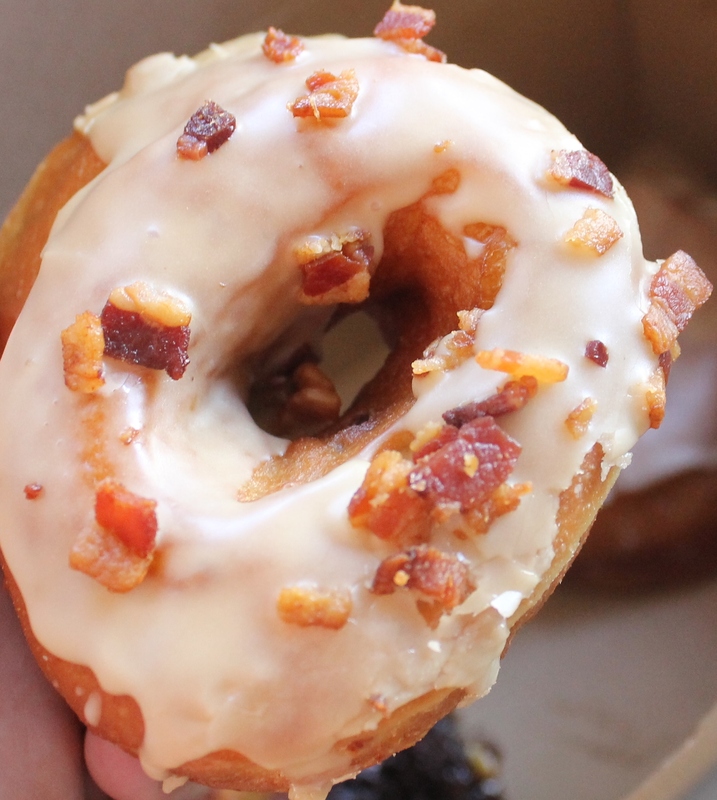 The vanilla bean was good, but the maple bacon apple was amazing! Seriously, it was pretty ridiculous. It’s a weird combination but it worked well and I would happily have one of these again anytime (if, of course, I lived in San Francisco and magically worked off every calorie with no effort!). For lunch, we went to the Presidio, which is a large national park that used to be a military base. 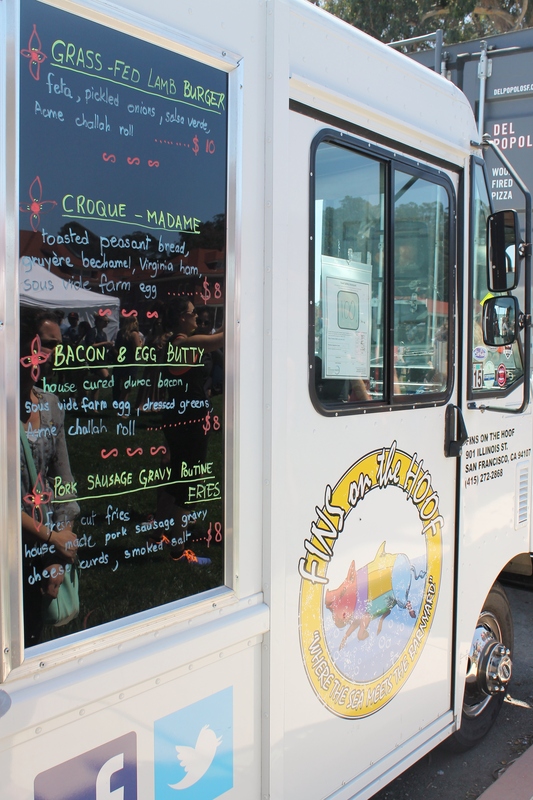 Every Sunday from spring through fall, food trucks and stands gather to sell food to crowds of people. 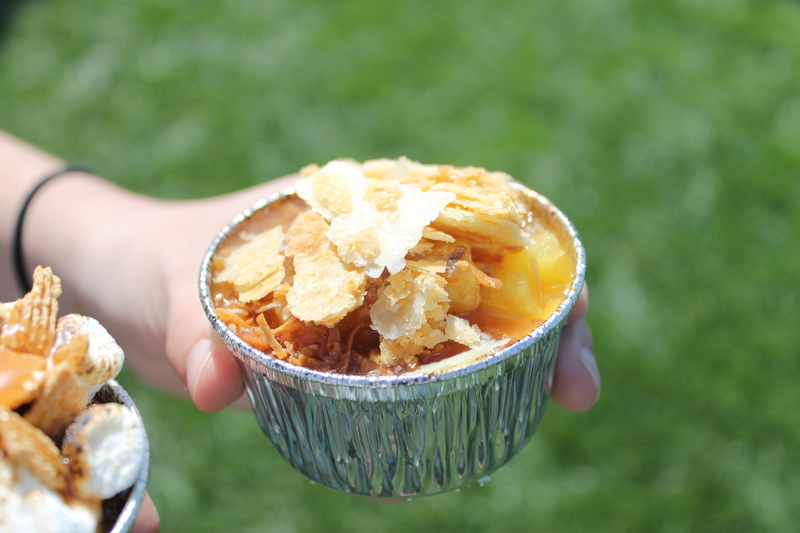 The event is run by Off the Grid, which brings the best of food in San Francisco to various spots in the city. This seemed to be a very popular, family-friendly, and all around fun event. Apparently there were over 7,000 people there! We had a great time! We bought our lunch at a place called Fins on the Hoof. The wait was long, but the food was very good. Between the three of us, we ate the three sandwiches on the menu in the picture below (no, sadly, we didn’t try the amazing-sounding fries) and were all happy with it! For dessert, we headed over to The Creme Brulee Cart. 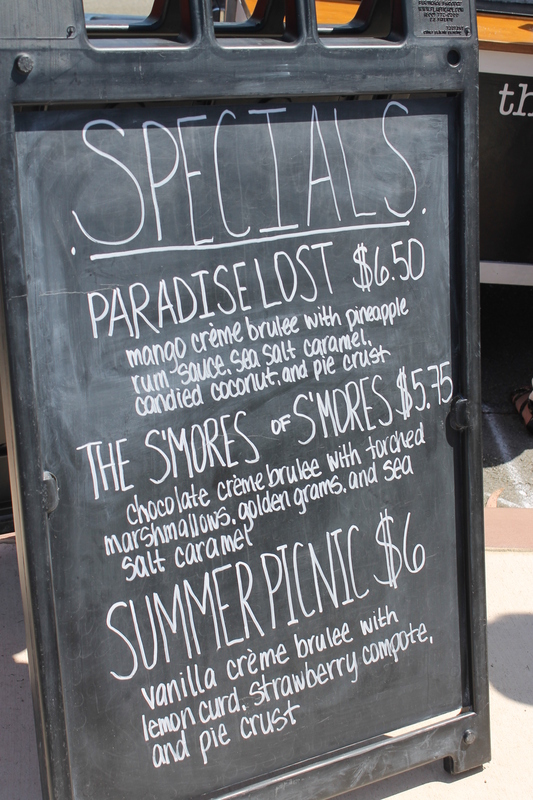 We had the mango creme brulee and the s’mores creme brulee. They were so, so, so good! Both were creamy and had a nice amount of toppings. It would be hard to pick a favorite of the two. All I can say is…I have nothing to say. These were just too good! After lunch, we went over the Golden Gate Bridge and walked over part of it. We then drove to a pretty beach town called Stinson Beach. It was too cold in the water to swim, but the weather was gorgeous. The road that we took to get there was winding with amazing views of mountains and the ocean, as well as farmland. 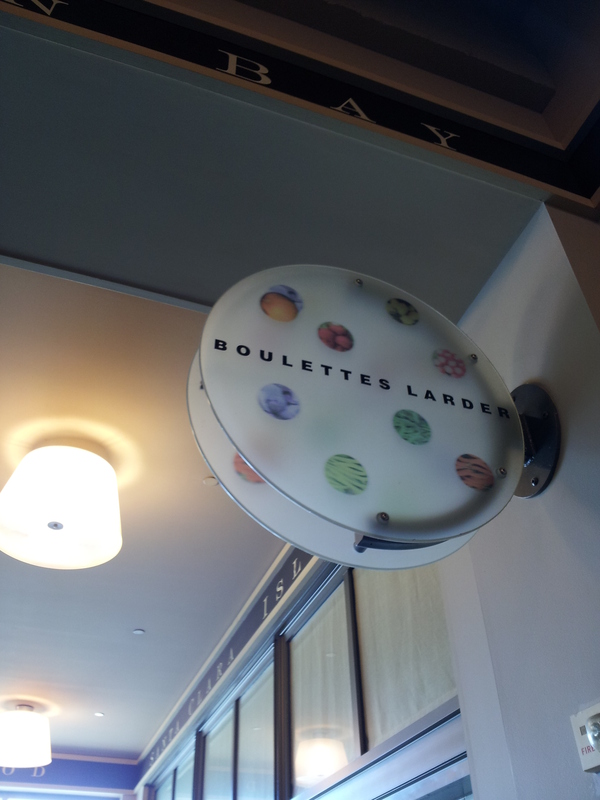 For Monday morning’s breakfast we went to Boulettes Larder, our aunt’s favorite restaurant for good reason. I had poached eggs with miso braised pork shoulder. This was the best meal of the entire trip. I wish I’d snapped a picture, but it simply didn’t last that long (my dad and Leah wanted to try it!). The eggs were cooked perfectly and the pork was tender and flavorful. Leah had Acme toast with apricot jam and house-made Nutella which was pretty delicious too. I highly recommend this place. It is not inexpensive by any means, but the food is good quality, the kitchen is super clean (you can watch them cook as you eat since the kitchen is literally right there), and the ambiance is lovely. 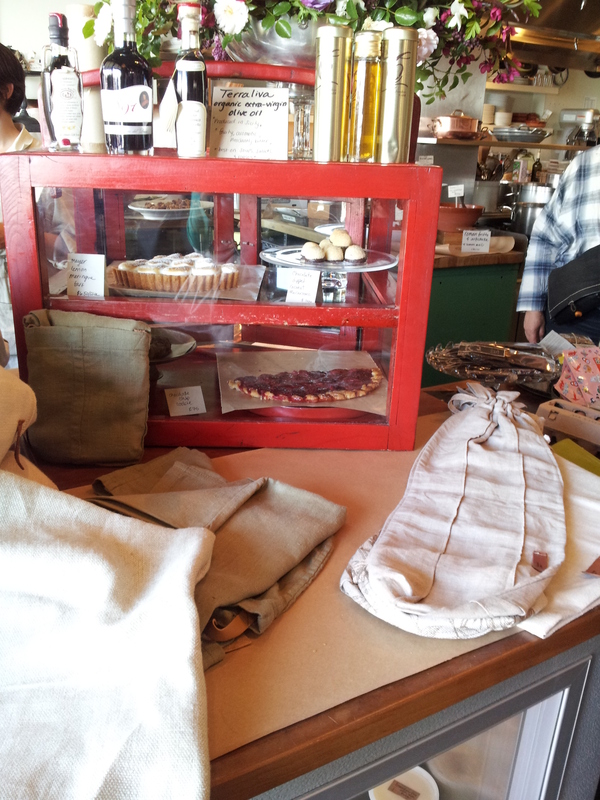 We also tried the lemon meringue tart, which was perfection (you can see it inside the glass case in the above picture). It had a graham cracker tart crust (somewhere between a normal crust and graham cracker crust) and was filled with creamy lemon curd and topped with pillowy meringue. We plan to recreate this at some point! 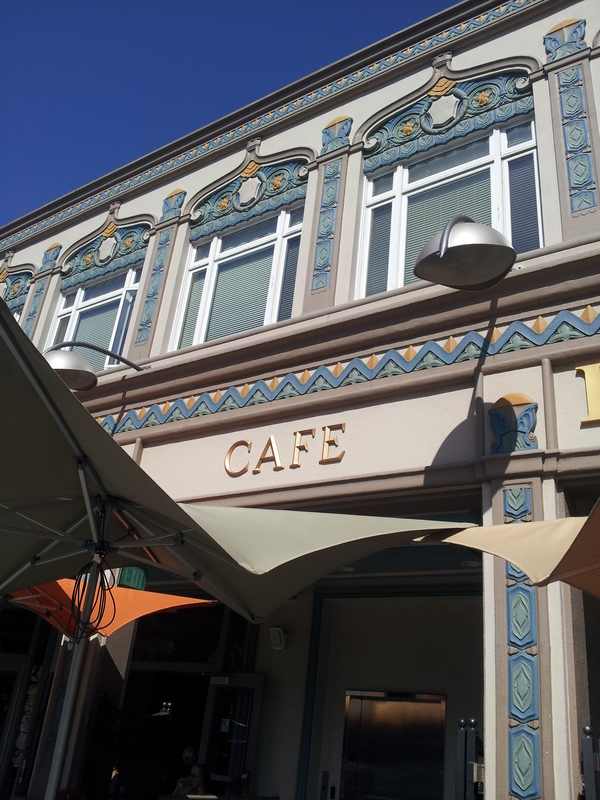 We went to Berkeley for a late lunch that afternoon, after a morning at Muir Woods and the Marin Headlands (which were both gorgeous). We wanted something quick and light after our elaborate breakfast. 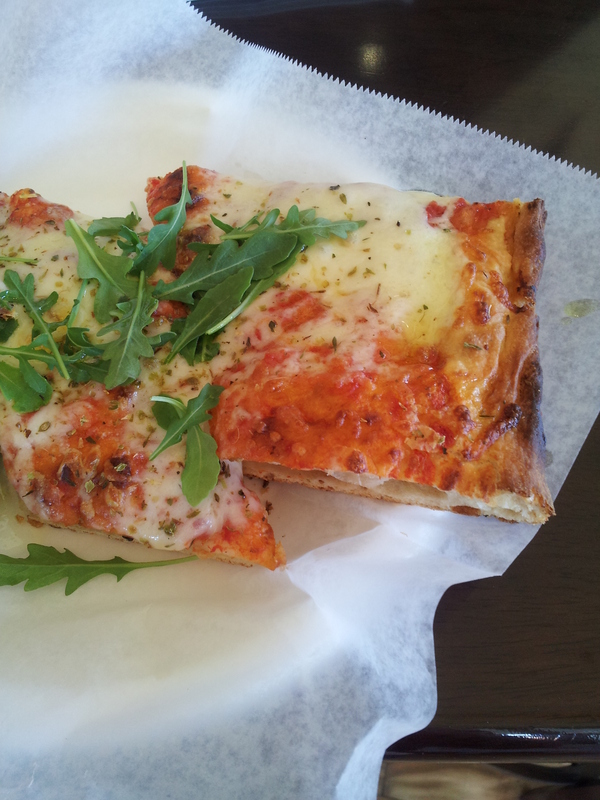 We went to PIQ Cafe and got slices of pizza. This was a nice and casual place, with really good pizza that was topped with a little arugula for garnish. For dessert, we had gelato pops by Naia, a nice gelato place in the Bay Area. They were refreshing and delicious! I had the burnt caramel, Leah had the vanilla bean, and our dad had coffee. After lunch, we visited the Berkeley Rose Garden, which is a neighborhood garden that is a lovely and relaxing spot. We also drove up to Grizzly Peak for a birds-eye view of the city. It was a little rough up there (cigarette butts and alcohol bottles) but the view of the almost entire Bay Area was pretty spectacular. 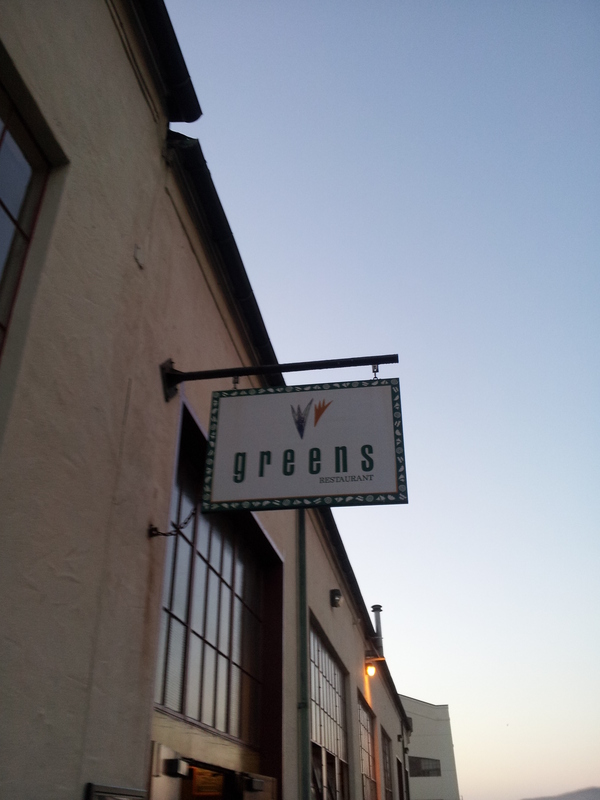 Finally, for a closing dinner that night, we headed to Greens, a vegetarian restaurant by the SF bay. This was another big highlight of the trip. Beautiful view right outside the restaurant! The atmosphere inside was peaceful, and the food was delicious. I had asparagus pizza with ricotta and asiago cheese with herbs, Leah had linguini pasta with garlic, parsley, sun-dried tomatoes, and broccoli, and our dad had butternut squash soup. But the real highlight was the desserts! Our table tested four of the desserts split between the six of us- the huckleberry upside down cake, espresso pot de creme, apple galette, and flourless chocolate torte. 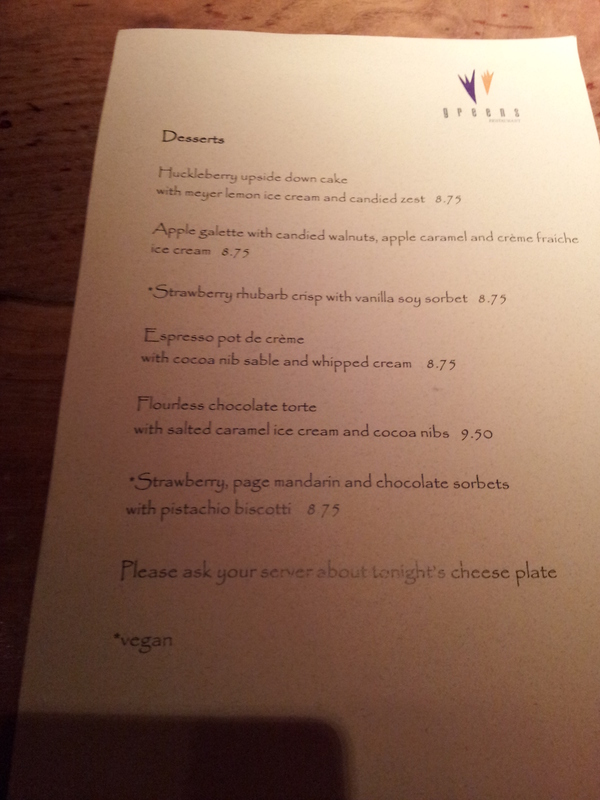 The favorite was the pot de creme, which was creamy heaven in a bowl. That was the best dessert from the trip for sure! Finally, Tuesday morning we got bagels from The Bagelry again, and made a stop in The Candy Store. 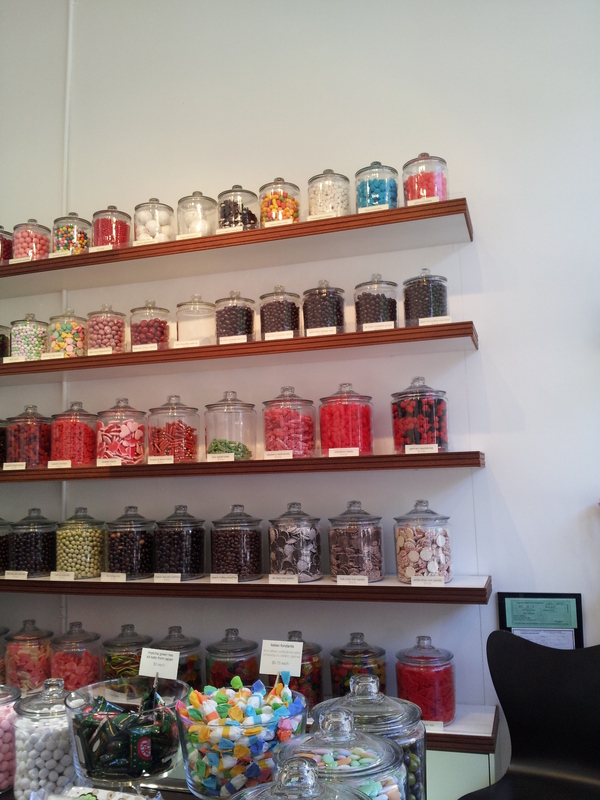 This store is really fun! 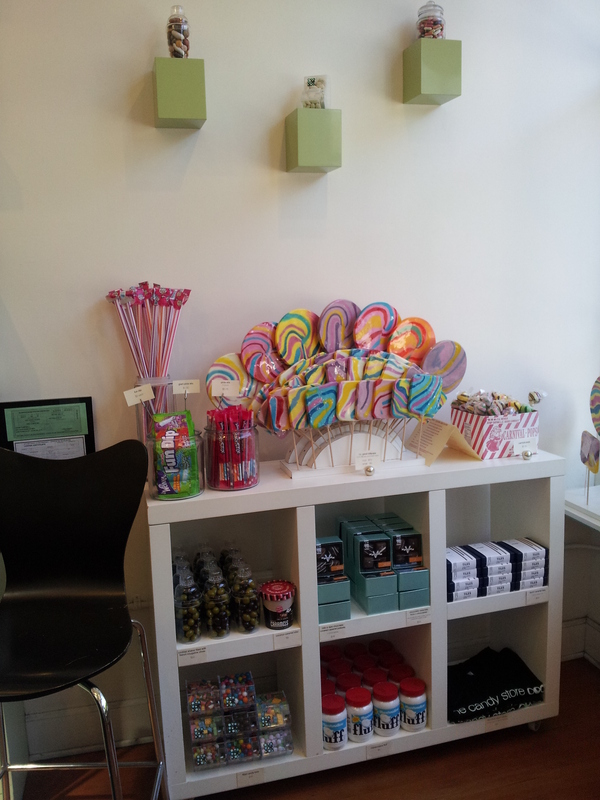 We decided to pick up some candy for our brothers, because kids love candy and we also wanted an excuse to go inside! 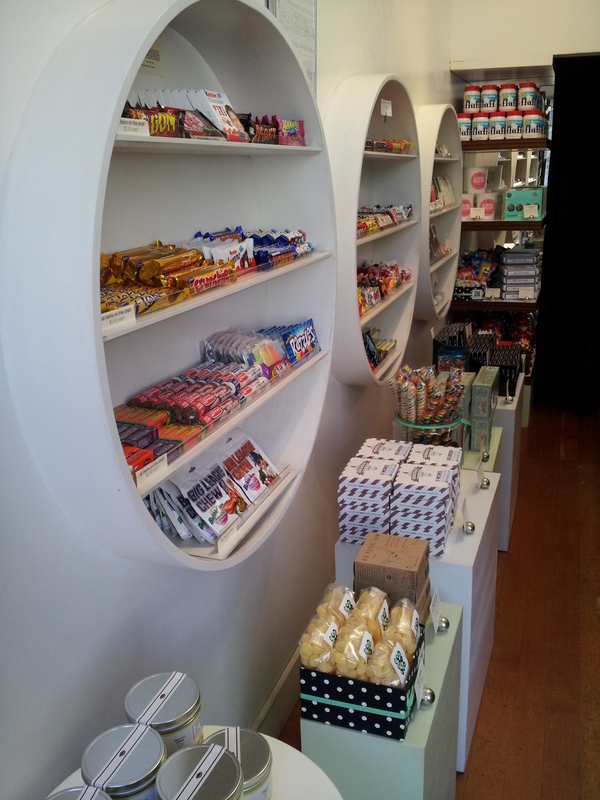 This store sells tons of vintage candy, candy from Europe, and plain old fun candies! The only real food disappointment of the trip was that we didn’t get to stop at Bi-Rite Creamery or Tartine. Neither were near where we were staying, and we got a little tired of city traffic (yikes, there are some bad drivers in that city). Next time! Thanks for reading this really long post! We had a ton of fun in San Francisco and we hope you enjoyed hearing about it! Some great recipes are coming this week to the blog!